1. Was there was a valid prenuptial or cohabitation agreement in place during your marriage? 2. Were you legally married or living common law during part or all of the time you were together? 3. Whether there are both federal (CPP) and private pension plans involved and where a private pension plan is involved, the type of plan and where it is administered? 4. Did you take time away from your career to fulfill parental responsibilities and what was the impact on your retirement savings? If you are a parent who took time out of your career to raise children, you probably expected that the pension of the working spouse was going to be shared to balance the impact of raising children on your career (and your retirement fund). • Delaying your career development to allow your spouse to capitalize on his or her career building opportunities. • Passing up a significant work opportunity because it would have required your spouse to change jobs. • Accommodating a spouse whose job required significant travel or business development duties that required them to be away from home during normal parenting times. • Being the parent committed to coaching, transportation duties, or fundraising activities for children involved in elite sports or extracurricular activities. In most cases, parental tasks are not evenly divided and there’s an expectation that the financial benefits resulting from the time the non-participating spouse puts into his or her career will be shared, including any pension assets accrued during the marriage. The valuation and division of pension assets can be quite complex particularly if there are multiple funds involved. There may also be issues concerning the status of who can apply for division. In Alberta, you will be considered a “pension partner” of the member spouse if you are legally married to the pension member and have not been separated for more than 3 years, or if you have lived in a marriage-like (common law) relationship with the pension member for more than 3 years. Being a pension partner means that you are the beneficiary of any death benefit related to the pension and that, on retirement, the pension member cannot elect a pension other than joint life without your consent. On separation you can claim a share of family property (e.g., pension earnings). 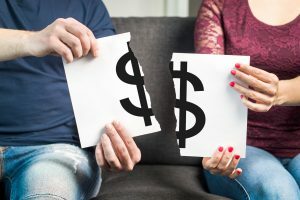 Where the pension at issue is a defined-benefit pension, you will need to seek a valuation at the time of separation and divorce and you will need to confirm what pension legislation and regulations apply to the method that must be used to calculate its value. The complexity of pension division may be compounded if there is a cross-border dimension involved. For example, if your spouse works for a regional, national or international corporation and their employer’s pension benefits are held and administered in another province (or country) there may be additional hurdles that need to be overcome during the valuation and distribution process. If there is a cross-border element in your case, you need to be aware that different provinces have different pension authorities each with their own rules that must be followed to access and evaluate pension information. It may even be difficult to figure out where to go to look for the necessary information, what documentation must be filed, and who has the authority to release that information. Additional issues may surface if the pension in question is self-funded or depending on the type of pension involved (defined benefit vs. defined contribution plans). If you do go through the process of getting a court order to secure the release of information or funds, there may be further issues around how to register your order to enforce it in another jurisdiction. In Alberta, the Matrimonial Property Act talks about dividing value, not assets. This means you may be able to obtain a valuation of the pension and a determination of the “before tax” value of your share. If there are reasons why you can’t divide the pension at source you may be able to seek the value from other assets of the marriage. If you go this route, you will need to consider the impact of taxes. There may be issues around whether you can take a share of the commuted value of your ex’s pension plan (a lump sum payout of the present value of the earned pension) or whether there is an opportunity to collect a pension down the road. Depending on the nature of the pension you may need to arrange to transfer the value into a locked-in RRSP. The general rule is that your maximum entitlement is half the value of the portion of the pension earned during the relationship. Depending on what you are trying to achieve there are opportunities to be creative about how you want to divide your assets. If you are the spouse with the better pension, it may well be worth your while to agree to trade other family assets in exchange for an agreement from your ex that he or she will not seek a share of your pension. The classic “trade” is where one spouse gets to keep the house in exchange for the other keeping their full pension. Our Family Solutions lawyers are well versed in the broad range of issues that arise in division of assets disputes, including the complexities of private pension valuation and division. We can explain your entitlements and your options, and help you develop a plan to move forward into your new life with confidence.